When the bank loans you money, it’s pretty clear that it’s a loan. The bank will make sure of that by making you sign documents evidencing you’re taking out a loan. But sometimes the line between a loan and a gift isn’t so clear. If Cousin Louis “gives” your business $50,000 and says “pay me back when you can,” is that a loan or a gift? You may think it doesn’t matter—cousin Louis isn’t going to sue you anyway (you hope). But the IRS may care, and your lack of documentation could end up costing you a lot of money. That’s because the money given to you as a loan is not taxable income. But a gift, like any other income, is taxed. You may then think that the better option is to make sure that you’re receiving a loan so that you don’t have taxable income. The problem is that if that loan is ever forgiven, you will ultimately have debt forgiveness income. Any time you owe money to someone, and that money is forgiven, the IRS considers that to be income. This often happens when creditors, such as credit card companies, medical creditors, or mortgage companies, waive or forgive debt. Consumers and businesses are often thrilled at the waiver, and then not so thrilled when they get a 1099 for the forgiven balance. 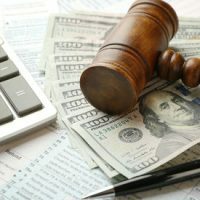 In many cases, it may be better to owe the original creditor the debt, than to owe the IRS taxes on the forgiven debt, given the IRS’ extensive collection tools that private creditors may not have. Remember that 1099s (from anybody, not just creditors) aren’t absolute—if you disagree with them, you do have a right to file a disagreement with the IRS. So what about “hiding” the nature of the transaction by saying that a gift is a loan, and then agreeing never to pay the loan back? That way, you don’t get hit with taxes for the gift, you don’t get hit for taxes for any waiver of debt, but you don’t have to pay back the debt. That’s unlikely to work. The IRS can ignore whatever you call the gift/loan, and determine that it’s something else. So if the IRS were to see that you had an unpaid “loan” with no terms or agreement for repayment and where the creditor isn’t collecting, the IRS can call the money a gift, or forgiven debt. The IRS can look to see what the intent of the parties were, the relationship between you and the “creditor,” whether there’s a written agreement, and other factors in making your unpaid “loan” a taxable gift. The best route if you have the option is to see which tax penalty would be less onerous, and tailor your transaction based on that, with sufficient written documentation to back up the nature of the transaction. Tax laws can be complex, and are changing all the time. Make sure your agreements match your intentions and put you in the best tax position. Contact Tampa business attorney David Toback to discuss a comprehensive tax and estate plan.